Dr. Caleb Fleming welcomes to you Lakeshore Urology. 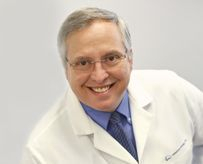 He welcomes patients from his former practice and is happy to accept new patients. Dr. Fleming received his Bachelor of Arts degree from Kalamazoo College and medical degree from Wayne State University School of Medicine. He completed his internship and residency at Wayne State University in Detroit, Michigan, then served as Senior staff at Henry Ford Health System where he also taught urology residents from 1989-2006. Dr. Fleming most recently practiced at West Shore Urology based in Muskegon since August 2006.